"Awesome tortillas without the gluten!" Whisk egg whites, water, coconut flour, and baking powder together in a large mixing bowl until smooth. Melt 1 to 2 teaspoons coconut oil in a nonstick skillet over medium heat, swirling pan to coat surface to the edges. Pour about 3 tablespoons batter into the hot skillet, tilting pan to spread batter around. 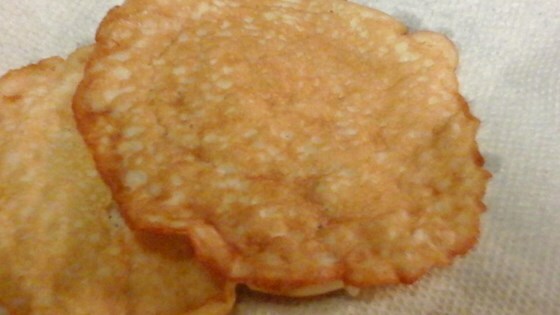 Cook until bottom side is golden brown, 2 to 3 minutes; flip and continue cooking until other side is also browned, 2 to 3 minutes more. Repeat with remaining coconut oil and batter. If you want thinner tortillas, you can add 1 to 2 teaspoon more water. DO NOT FLIP the tortillas in Step 4 until you are absolutely certain that the first side is golden brown. Flipping before this point will rip the tortilla. Sooo this is more like an over-easy egg, not really a tortilla. I had to add more flour to make it actually edible with Mexican fixings. I don't recommend this for anything other than breakfast.